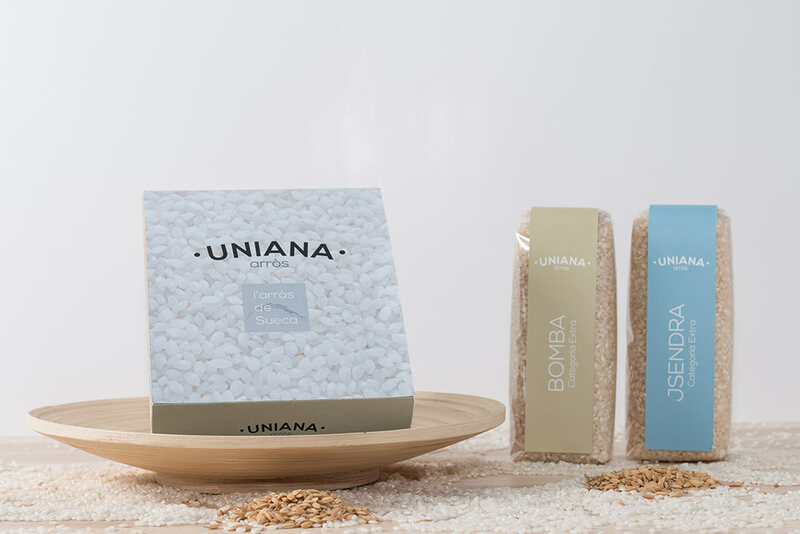 Rebranding and packaging design of Uniana, a high quality rice producer. 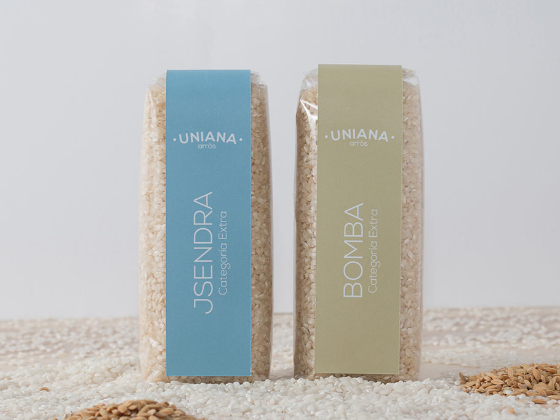 The client needs a brand new visual identity and an exclusive and unique packaging for their rice. 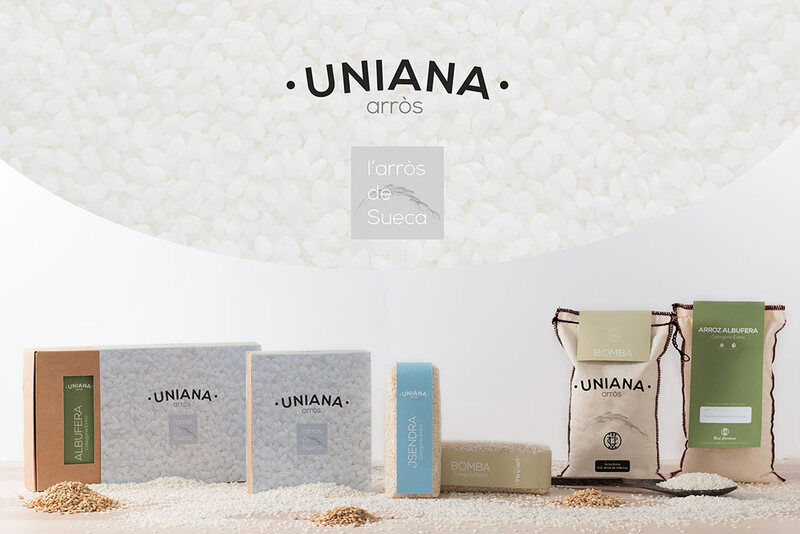 The first step in the project was redesigning the logo and the whole identity of Uniana. 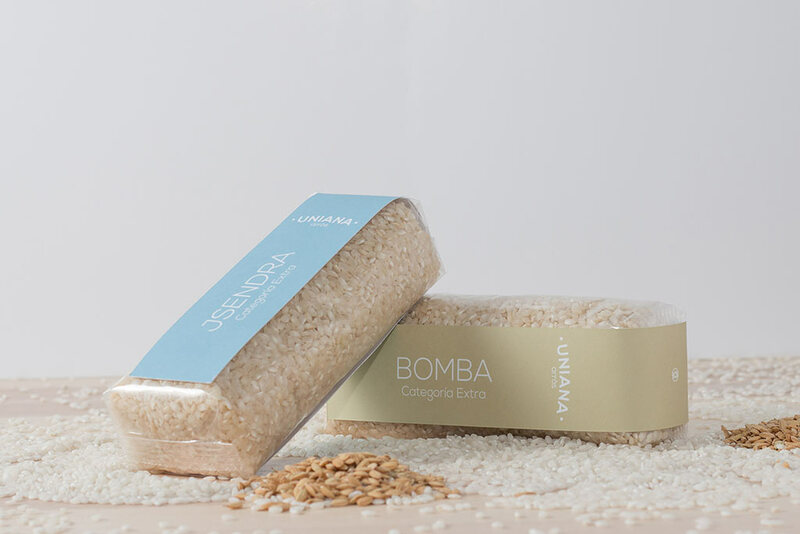 Once I found the perfect corporate ID, then I designed a unique rice packaging range. They sell 3 types of rice and we decided to set a different colour for each type of rice. 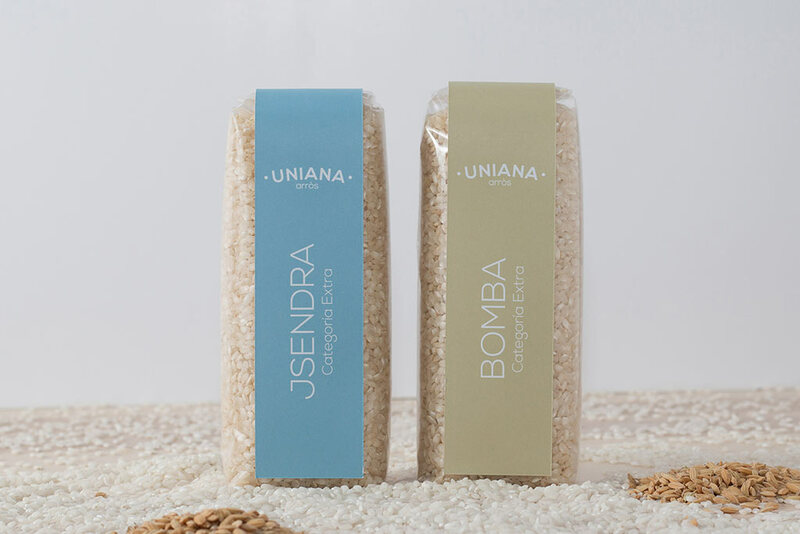 I designed a plastic bag with a paper tag that contains all the information of the rice and lets the buyer see the content and a box that can keep two bags of rice. 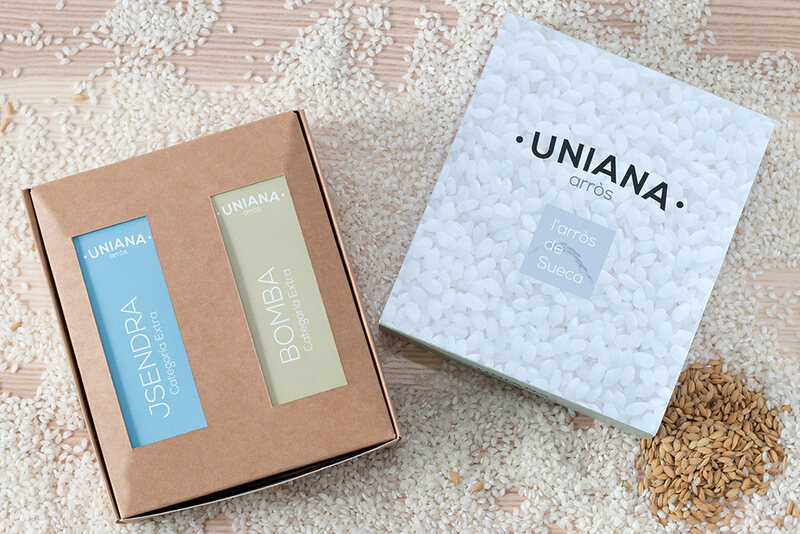 This package contains two 1kg or 500gr bags. 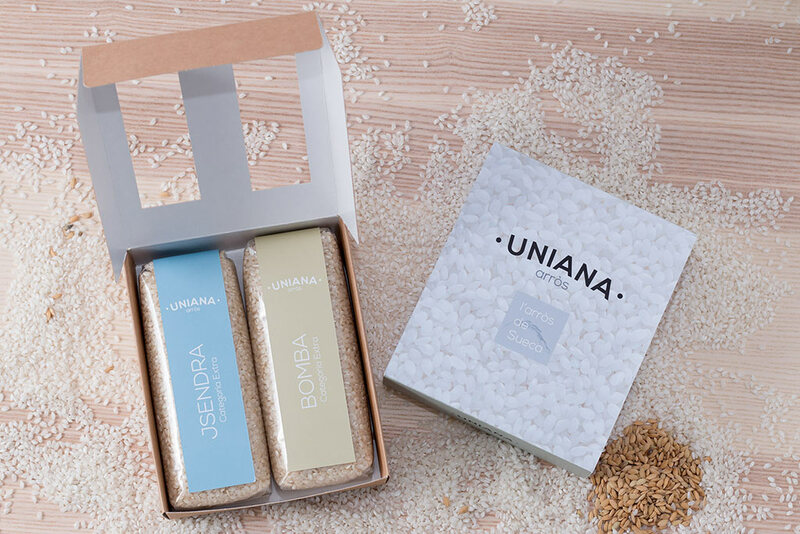 I also designed a printed linen bag for an exclusive corporate gift, also with a paper tag that contains all the rice info.